Horseshoe Gang laces fans with a new eerie banger titled “Silent Killa.” The song is set to be featured on the group’s upcoming Mixtape Monthly Vol. 1 project which will be available to the masses on November 21. Take a listen as the Long Beach native’s show no mercy and murder the competition with their lyrical dominance. 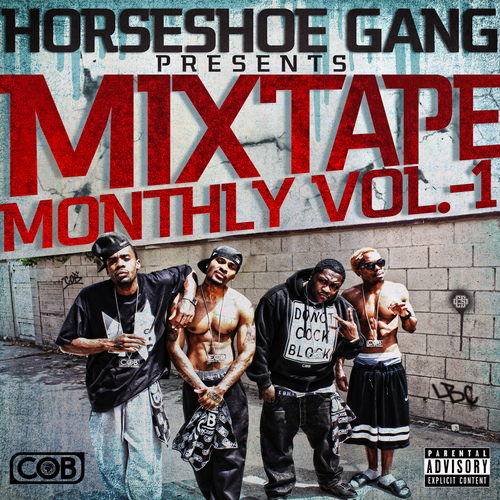 This entry was posted in Audio and tagged cob, hip hop, horseshoe gang, jupiter beats, mixtape monthly vol. 1, rap, silent killa. Bookmark the permalink.